Chilled air loss due to the movement of panels in cool rooms is a common issue, and can be a major cost to owners and operators. This is because the original sealant between the ceiling panel joints tends to fail and leak over time. Water condensation penetrates the foam between the panels, causing the panels to buckle, lift and eventually collapse. The chilled air escapes the cool room, through the now-unsealed joints. This is a huge cost. The older the cool room gets, the greater the risk. Inspection by a qualified person is critical to determine if intervention and repairs are required. 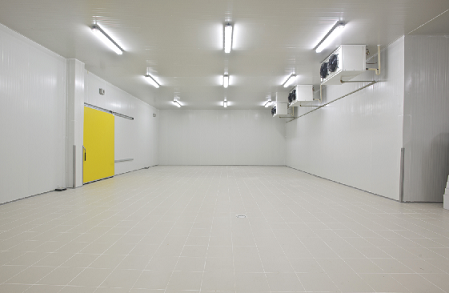 In order to maintain the integrity of panels in cool rooms and cold storage facilities, Coolclean offers specialised sealing of panel joints. To achieve long term protection against further panel damage and chilled air loss, the correct preparation, choice of sealant and application method is critical. Contact us to discuss cool room panel protection.